That’s right, folks, you read the headline correctly. Tonight Disney Parks announced that the first ever Starbucks inside Walt Disney World’s Magic Kingdom will replace the iconic Main Street Bakery. As an avid lover of both Disney and Starbucks, I’m both conflicted and shocked at this news. It’s time that I weigh in. 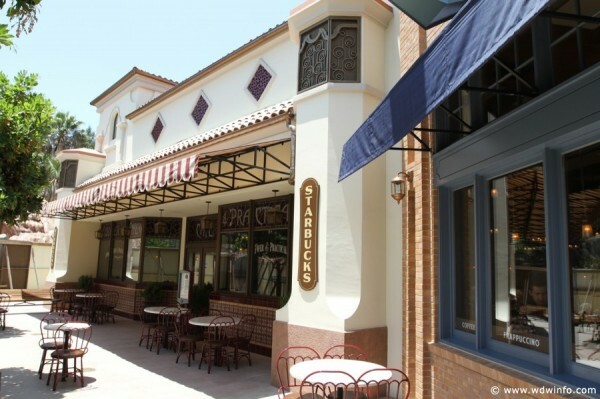 Image: The Main Street Bakery in Walt Disney World will shut its doors this January and be remodeled into a Starbucks. 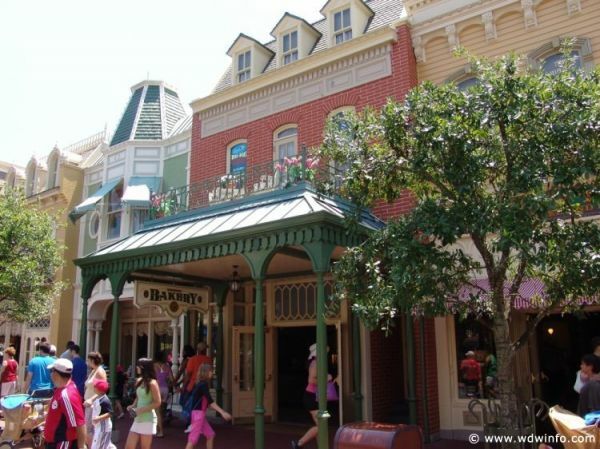 The Main Street Bakery is a charming eatery that fills Main Street USA with the scents of brown sugar, vanilla, and cinnamon. With wrought iron chairs, brass light fixtures, dark oak cabinets, and walls covered in mirrors and tile, the bakery fits right in with Main Street’s turn-of-the-century atmosphere. Guests line up immediately after park opening to splurge on an early morning treat such as a warm, gooey cinnamon roll or freshly baked croissant. In the afternoons and evenings, those looking to satisfy their sweet tooths frequently stop by for a homemade ice cream cookie sandwich, cupcake, danish, or piece of cake. Sandwiches are also available and make for a relaxing break from the busyness of the Magic Kingdom. 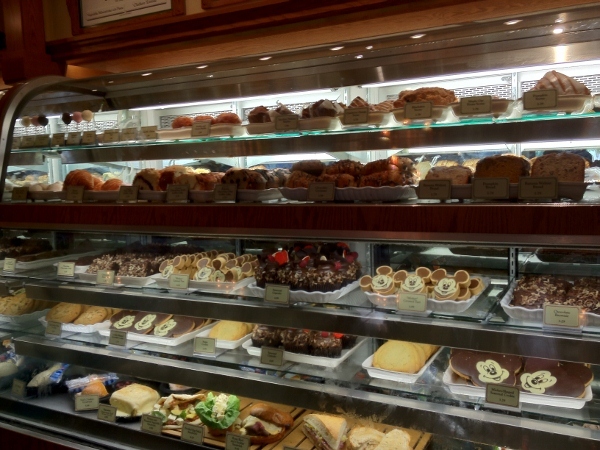 Image: The charm of Main Street Bakery brings us back to days of the past. However, Disney Parks has decided to shut the doors of our beloved bakery this January so that it may be transformed into the first Starbucks location inside a Walt Disney World theme park. When the company first announced the addition of Starbucks last year, I was thrilled. We all have our own opinions about the coffee served at Disney Parks. If you have listened to one of many episodes of the DIS Unplugged podcast, you’ll know that it’s been given a few not-so-nice, but deserving nicknames. By adding the option of the Seattle-based coffee chain, guests can avoid choking back watered down coffee grounds and select a beverage from the largest java company in the world. With this being said, I never would have imagined that such a permanent part of Main Street like the bakery would be removed to provide space for an eatery that can be found in nearly every town in the U.S. and several areas around the world. 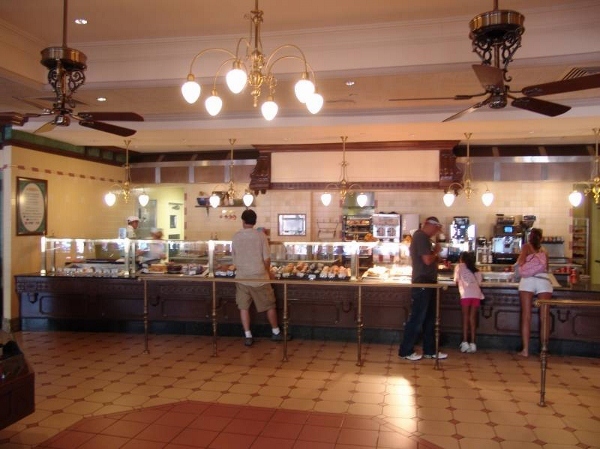 Why would Disney take away the nostaligic surroundings of a bakery from the past? Why would the company do this to replace it with such a commercial chain? I’m completely baffled and can imagine that you are too. 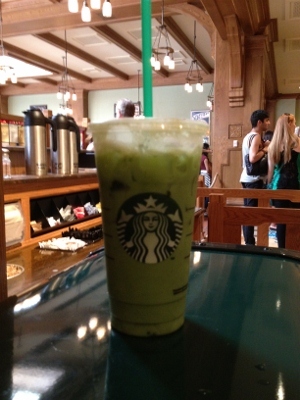 Image: Starbucks is a Seattle-based coffee chain known throughout the world for its caffeine-filled concoctions like this iced green tea latte. Many of the changes Disney fans have seen in the parks over the past few years have been deemed questionable. Still, most agree that such “improvements” were related to Disney’s bottom line. Could that be the case with Starbucks? Some might believe so. However, I find it very difficult to believe that the Main Street Bakery did not hold its weight in coin. Every time I walk by the line is long and guests are snatching every goodie imaginable. So if the eatery was successful, why would Disney jeopardize it by falling for the commercialized logic of today? This summer, Disney California Adventure opened the first Starbucks location inside a Disney theme park. I had the chance to frequent it on several occasions. I thought that Disney Imagineers did a fantastic job blending the eatery in with the theming of the newly remodeled Buena Vista Street. Everything from the signage to the chairs to the decorations fit the atmosphere. As a result, one might guess that this could very well be done on Main Street. Yet, I’m finding myself to be less confident. How could one combine the charm of old time USA with such a modern coffee shop – one that prides itself in frappes, lattes, and liquid gold? I just don’t think it can be done. 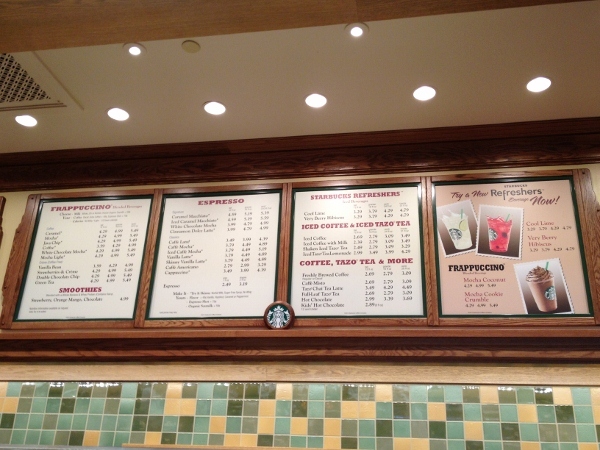 Image: The first Starbucks inside a Disney park at Disney California Adventure. The Starbucks locations at Magic Kingdom Park and Epcot will both offer the full complement of Starbucks® signature beverages, artisan breakfast sandwiches and a wide selection of baked goods, including muffins, scones and specialty treats. All of the above can be found at Starbucks shops around the country including the artisan breakfast sandwiches and scones. This doesn’t give me much hope for finding the treats we have come to love at Main Street Bakery once the remodel is complete. 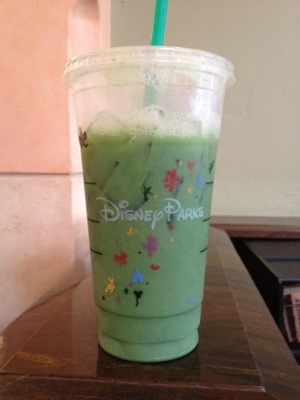 All in all, Starbucks is a welcome addition to Disney Parks. However, I don’t feel that something as iconic as the Main Street Bakery should be removed for this to happen. Walt Disney World has several acres to build upon; taking out the bakery will definitely impact the overall feel of Main Street. If the intent for the area is to mimic Walt Disney’s beloved Marceline hometown, smacking a modern-day establishment in it might put a dent into the nostalgia bubble if you ask me. I guess time will only tell how this will pan out, but for now, I’m going to make sure to stock up on bakery treats during my next trip. Disney fans have complained about the coffee options for years. Starbucks is, in fact, a very popular chain serving a variety of options for those needing a caffeine fix. No matter how Disney “themes” the cafe to fit in with Main Street USA, it will never fully complement the turn-of-the-century atmosphere the area is known for. Starbucks is an attribute of modern day America, not one of Walt’s hometown of the early 1900s. Disney stated that baked goods would be sold at the new Starbucks in Magic Kingdom. Like I said above, even though the offerings were somewhat cryptically described, it’s clear what the intent is: Starbucks baked goods with maybe a mass-produced Mickey cupcake or cookie or two. This is what is available at the California location. For example, Disney said that scones would be available for purchase; Starbucks makes varieties ranging from pumpkin to blueberry. Disney also stated that “artisan breakfast sandwiches” will be sold; Starbucks has a line of such sandwiches including those with Gouda, spinach, Feta, and chicken sausage. Similarly, Disney described that baked treats would be on the menu; Starbucks serves everything from pound cake, cookies, and cheese danishes to apple fritters, cinnamon rolls, and cupcakes. Now, don’t get me wrong here, I like all of the above, but again, is taking away the nostalgic Main Street Bakery worth it? I’d say not. There are many other locations that Disney could place a Starbucks and, in fact, they have already announced that the Fountain View in Epcot will be one of them and more cafes will open in the future. Personally, I can see this happening…. With this being said, I don’t think the addition of Starbucks is a bad thing; the location of the cafes need to be heavily considered though. I don’t believe one belongs in Magic Kingdom, Epcot, or Animal Kingdom as it would definitely chop away at the theming. However, I agree with adding one to Disney’s Hollywood Studios and Downtown Disney. It seems as if Starbucks would naturally fit there. If Disney (and subsequently coffee lovers) want a better option near Magic Kingdom, why not place a Starbucks cafe in The Contemporary Resort? There’s already a small one in the lobby area near the Disney bus waiting area; why not remodel it into a Starbucks and leave Main Street alone? We know that Disney is a business looking to make a profit. With the amount of cinnamon rolls, coffees, sandwiches, and cookies that are sold at the Main Street Bakery, you cannot honestly tell me that this eatery does not bring in enough cash flow. When Disney announced that the clubs in Pleasure Island would be closing years ago, I remember seeing this type of public outcry. Unfortunately, the company ignored what was the real “guest demand.” Subsequently, the pessimist in me sees the same scenario playing out with this recent announcement. Fans will write. Petitions will be signed. Complaints will be made. Disney will ignore the true fan base who frequents its parks. Still, I encourage anyone who is unhappy with this announcement to voice your concerns to Disney directly either in person or through mail. Perhaps there is a chance we could make a difference.